A koala with an extremely rare genetic condition giving it two different coloured eyes has been discovered in Queensland after being hit by a car north of Brisbane. 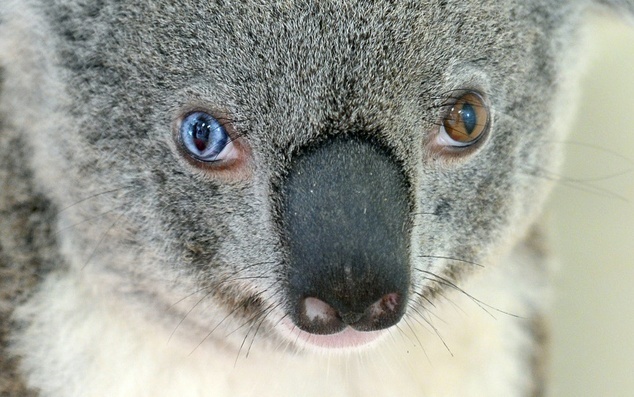 The marsupial dubbed 'Bowie' has heterochromia - giving it a bright blue right eye while the left one is brown. It is a condition similar to the one that helped define the unique look of the koala's namesake, the late music star David Bowie. 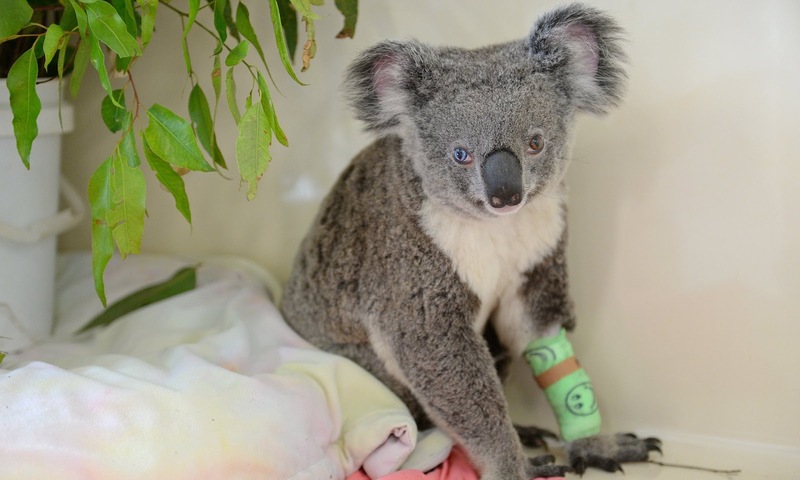 The young female koala was taken to Australia Zoo Wildlife Hospital on the Sunshine Coast last month after it was hit by what was thought to be a car near Brendale, north of Brisbane. Treating veterinarian Dr Sharon Griffiths said Bowie's different coloured eyes do not affect its vision. 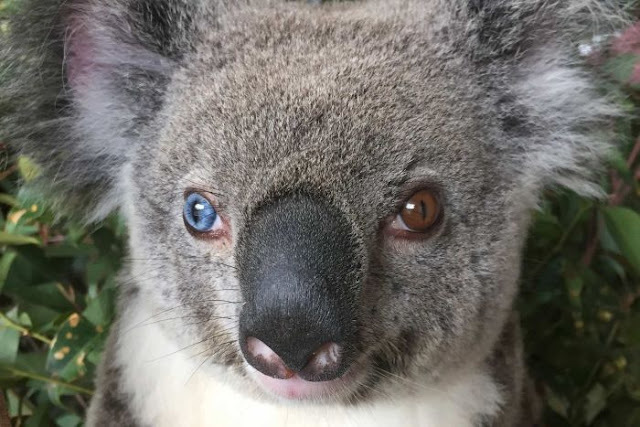 "Apart from being extremely lucky in avoiding injury on the road, she's also incredibly unique as heterochromia isn't a common occurrence in koalas; it's more often found in domestic mammal species such as dogs and cats," Dr Griffiths said. The hospital said the condition was the result of a recessive gene inherited from parents that affects the pigmentation in the iris. She will eventually be released back into the wild. 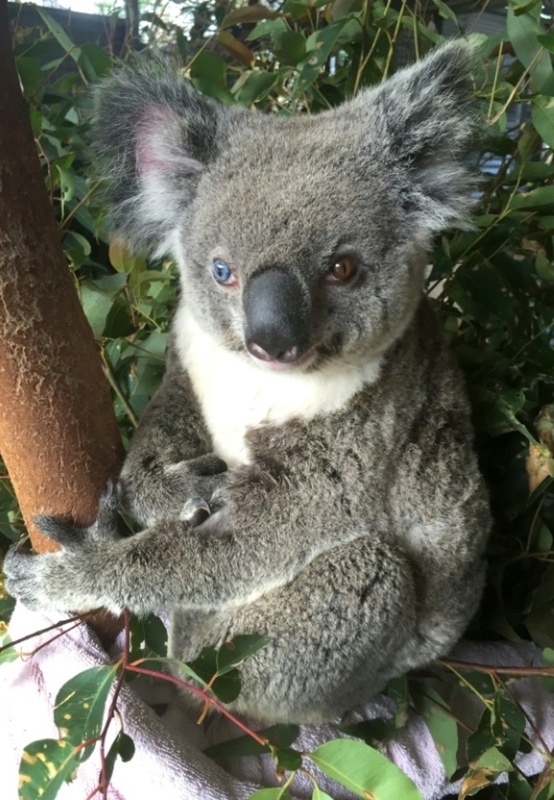 Responses to "Rescue Story: Extremely rare blue and brown eyed koala found after being hit by car"